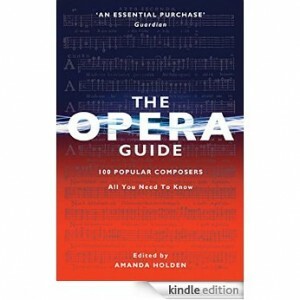 The Opera Guide – 100 Popular Composers is now available on Amazon Kindle for £8.99 by clicking the image. 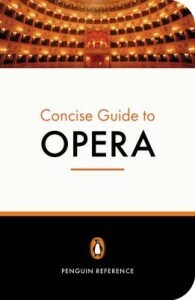 This is a completely updated revision of the old Penguin Concise Guide to Opera with a lively Foreword by international opera director, David Pountney. Though it is a survey of all the best works that anyone is likely to encounter, it is also the most up-to-date opera guide available including the best works by at least 18 living composers. 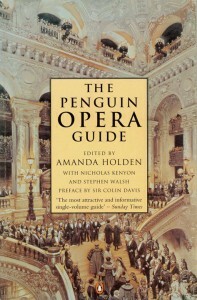 Amanda Holden is the founder editor of a renowned series of single volume opera guides published by Penguin Books; the first edition was The Viking Opera Guide. This volume contains 850 composer articles, 1,305 pages and over a million words, written by over 100 expert specialists in their field. The initial work – planning, commissioning, writing and editing – took five years, 1987-1992; the first edition was published the following year. Each composer article consists of biographical information followed by detailed examination of their main operas; in the case of all the best known opera composers (and many less well known) all their operatic works are examined in detail. 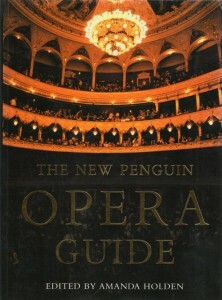 The Penguin Concise Guide to Opera, paperback 2005 is the only volume remaining in print. It contains one hundred articles and each composer’s main works. A new on-line edition of the Opera Guide, containing all the material published in the four Penguin editions plus several new entries, is currently in preparation. This was the second major edition; for this all the Viking material was revised and updated; some of the most obscure entries were deleted and eighty new articles were added, most of them on living composers. 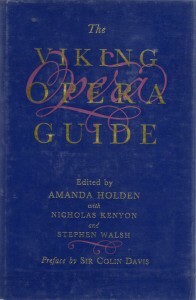 This edition is a concise version of The Viking Opera Guide. A CD-ROM was published at the same time as the original Viking Guide. The Royal National Institute for the Blind published the Viking Guide in a 94 volume braille edition, which was launched (with all volumes present and a speech by Dame Josephine Barstow) at the London Coliseum. It is the largest publication in the RNIB library and occupies 2.5 metres of shelving. 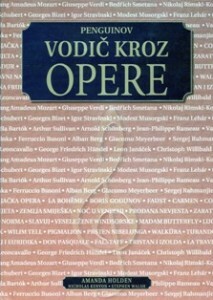 The Penguin Opera Guide was also translated into Croatian as Penguinov VODIČ KROZ OPERE and published by Izvori (Zagreb) in 2001.